A look at the best news photos and the most interesting photos from around the world. 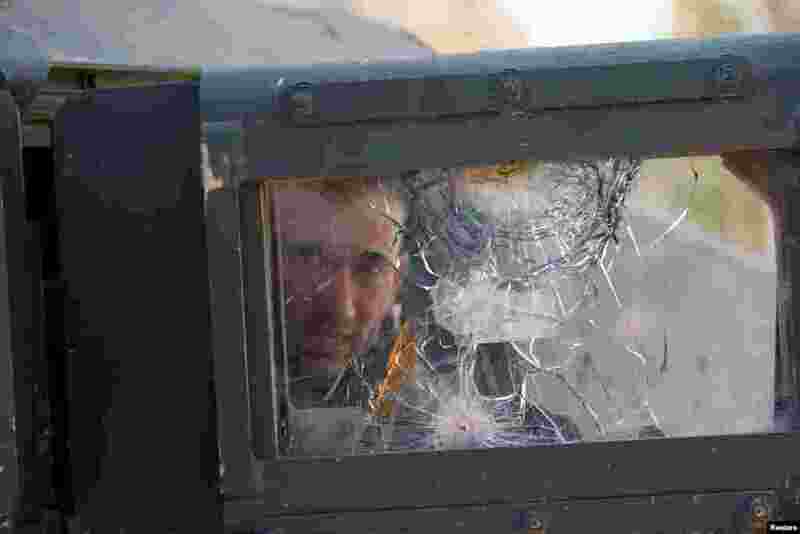 ١ A member of the Iraqi rapid response forces sits in a military vehicle during battle with Islamic State militants in the Mithaq district of eastern Mosul. 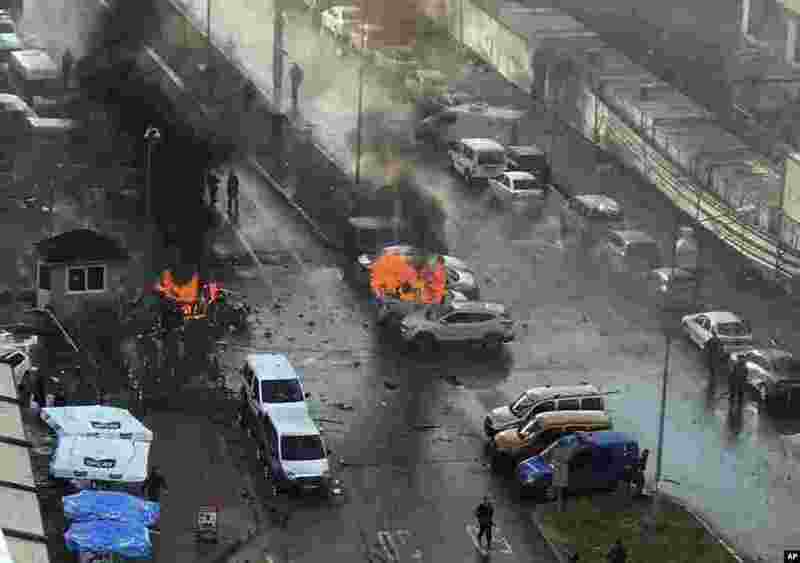 ٢ Cars burn after a car bomb explosion in Izmir, Turkey. An explosion believed to have been caused by a car bomb in front of a courthouse in the western Turkish city of Izmir, wounded several people, a local official said. Two of the suspected attackers were killed in an ensuing shootout with police. 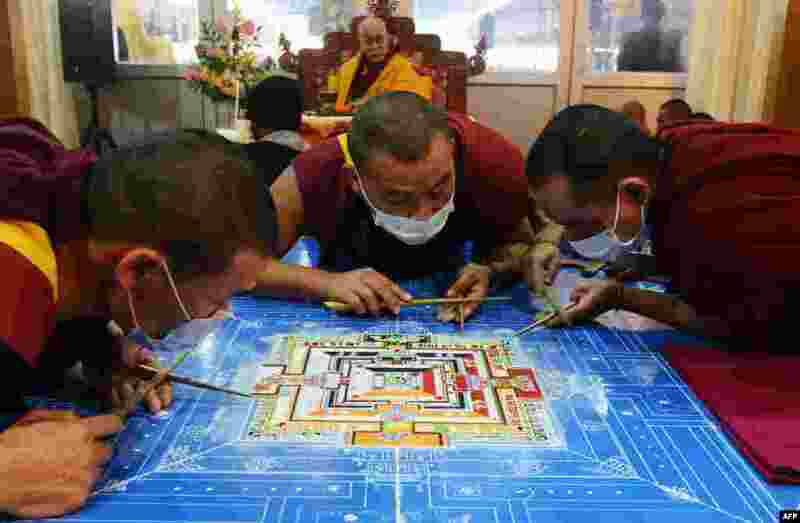 ٣ Tibetan Spiritual Leader The Dalai Lama looks on as Tibetan Buddhist monks work on a traditional painting during a special religious prayer at Bodhgaya, India. 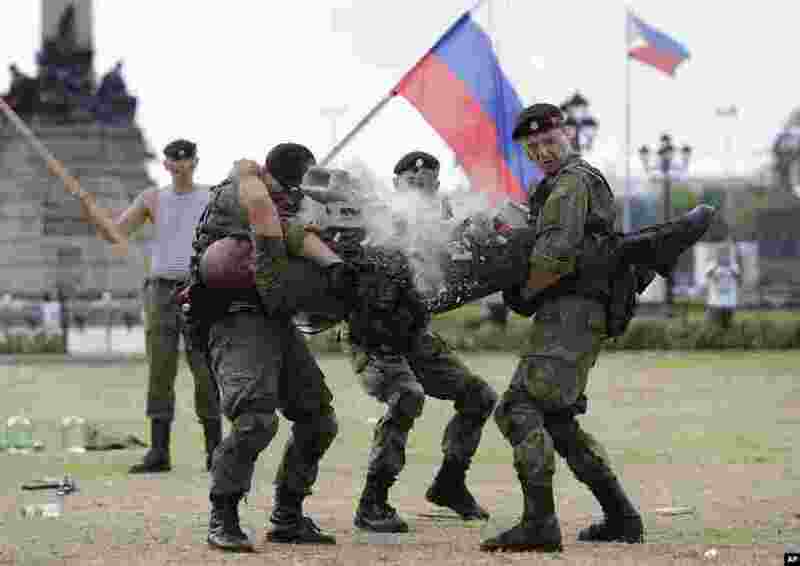 ٤ A Russian Marine uses a hammer to break a brick on top of his comrade's stomach during a Capability Demonstration at Manila's Rizal Park, the Philippines.